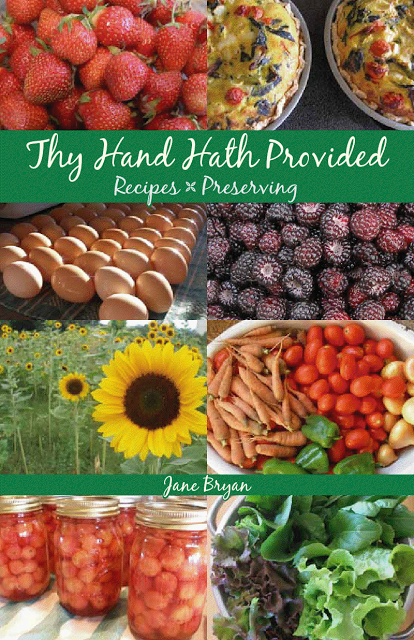 Thy Hand Hath Provided: Cookbook Giveaway Winners & A Free Shipping Deal! 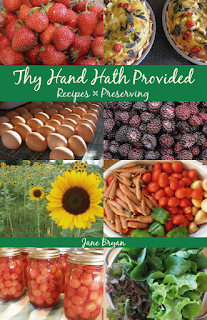 Cookbook Giveaway Winners & A Free Shipping Deal! Thank you all so much for entering! I loved hearing what some of your favorite recipes are- and several comments prompted me to put a few on my menu for the next couple weeks because it's been awhile since I've made them (Curried-Chicken Potpie, Pumpkin Streusel Bread, and White Chili for starters). Now, before I announce the winners I want to offer a little something to those of you who didn't win. If you order a cookbook this weekend (before midnight on Sunday, the 15th), I will reimburse you the cost of shipping, making shipping FREE! So to be clear- you'll be charged the full amount initially but before I ship your order, I'll reimburse you $3.75 for the cost of shipping. If you order more than one, I'll reimburse all your shipping. I'm sorry but I cannot make this offer to those of you living outside the US. If you can't purchase one this weekend but would like one, put it on your Christmas list! Your loved ones might be looking for ideas:-). On to the winners! If you see your name below, please send me an email (thyhand123@gmail.com) with your mailing address and I'll get them right out to you. Congratulations!! Forgot - name is Loretta! Can I just say "all desserts" as my entry? LOL. If I have to choose one, it would be Shoofly Pie. I am so excited!!!!!! Like REALLY excited!!!! Yay! Congratulations to the winners! What a fun, generous giveaway, Jane.